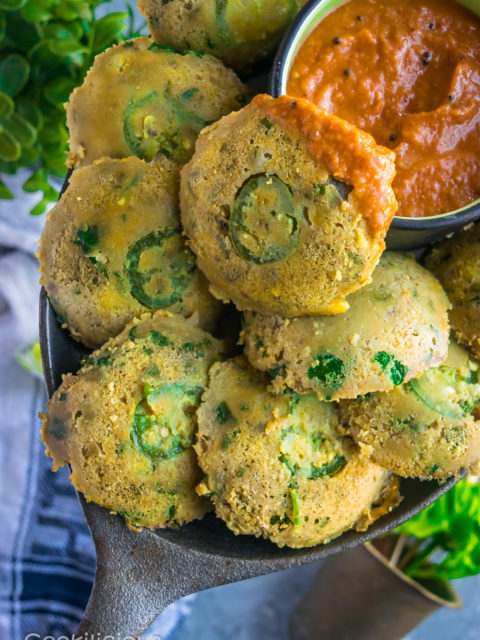 Steamed Bafauri is an easy to make lentil snack from the Bhojpuri cuisine. 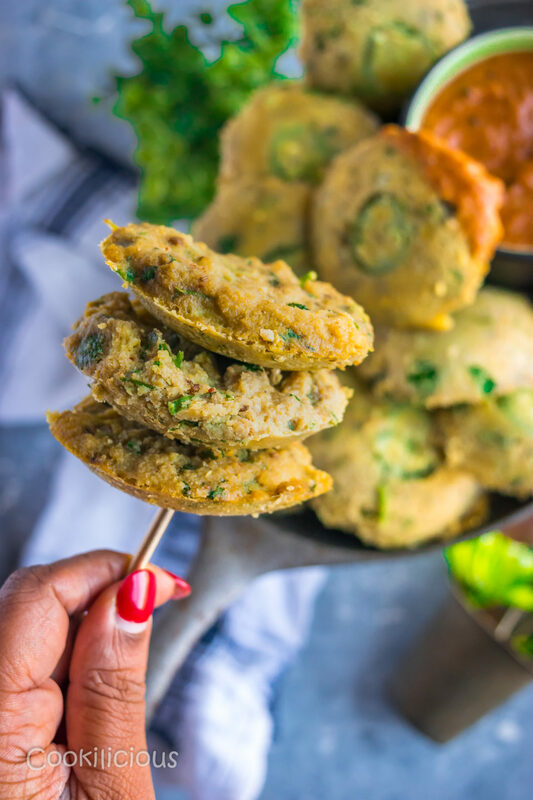 A healthy alternative to fried pakoras, less in calories, vegan & very delicious! I am so thrilled to have discovered this recipe from Chhattisgarh (a state in the center-east of India)! Steamed Bafauri is an easy to make snack recipe from the Bhojpur cuisine. Like most of you know, I love to explore cuisines not just within India but also around the world. In this quest, I have come across some amazing recipes that may be long forgotten today or are only made in that cuisine and no one else has ever heard or got to taste it. This makes me want to recreate that recipe all the more and help spread the word out that such an appetizing recipe exists. That is how I discovered Bhojpuri cuisine. Let me confess here that until now it had never occurred to me that I should check this cuisine out. Foods across India is vast spread and it is difficult to keep track of every cuisine that’s born here. But, better late than never! I only knew that Chhattisgarh has a rich heritage and that its known for its ancient temples, dense forests and mesmerizing waterfalls. But when I began to read about the cuisine, I was pleasantly surprised. It has a healthy mix of vegetarian and non vegetarian food. It also has some tribal influence in their cooking. I was also happy to find out that rice dishes are rampant in this cuisine which made me want to explore this style of cooking all the more. Each and every authentic recipe from this part of India intrigued me and I now want to try them all out in my kitchen. But I chose to begin with this wonder recipe called Bafauri! Frankly speaking, it was its name that attracted me to it first but then when I went through the recipe, I was blown away by the simplicity of this snack. Healthy Snacking is not a myth! Yes, such snacks do exist and you do not need to run to your nearest grocery store to get some processed snack that claims to be healthy. I encourage you to make them at home yourself. If you are imagining that the process to make a nourishing snack is long and tedious then you need to know something about me here. I DO NOT like to cook elaborate meals as I am inherently a lazy person. So if I recommend or share a recipe with you, it will be super simple and quick to make. So be rest assured and check out this Bafauri recipe for yourself. This snack is for all those of us who get extremely cranky when hungry especially in the evenings. It’s the ‘dreaded hour’ for me atleast and that is when I need to consume something that is not just great to taste but also very healthy! Its a protein and carb rich lentil recipe made with chana dal also known as split chickpeas. Its a steamed dish so all the nutrients are intact. It’s plant based, nut-free and gluten free. Is a toothsome and wholesome snack. Here is how you make it. 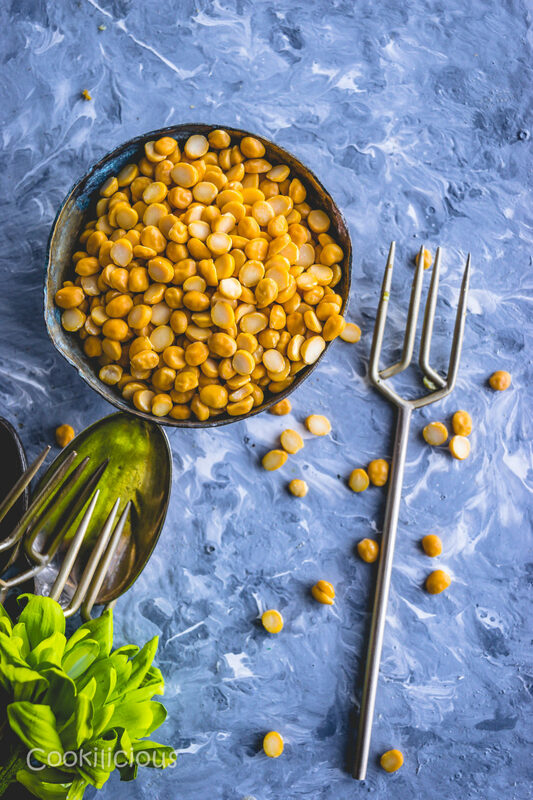 Soak chana dal/split chickpeas for 3-4 hours. Drain the water and grind it to a smooth paste. Add little water while grinding if required. Transfer this paste to a mixing bowl. Then add chopped onions, ginger, garlic, green chillies, baking soda, turmeric powder, chilly powder, chopped cilantro, ajwain/carom seeds and salt. I also like adding some greens to my recipes. So I added some chopped sweet pea leaves in this as well. Then add oil and water, mix and prepare a thick batter. Grease your steamer plate with some cooking spray if you want. I used an Idli cooker for this recipe. Pour a spoonful of the batter into each mold and steam these cakes for 20-30 minutes on medium flame. Once done, open the steamer and de-mold the bafauri carefully. 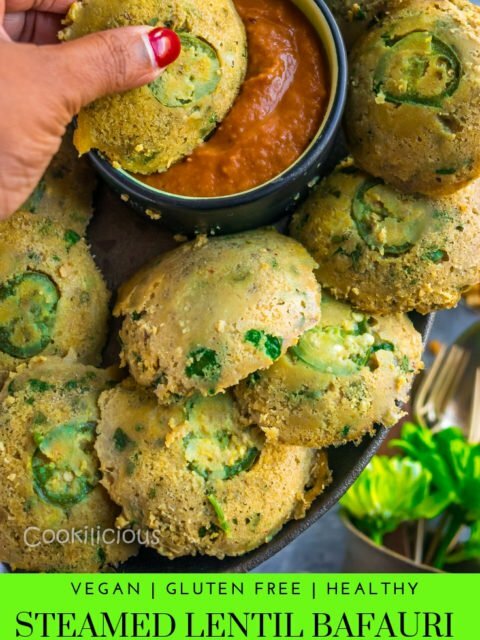 Serve it with some spicy green chutney or ketchup along with your evening tea/coffee. 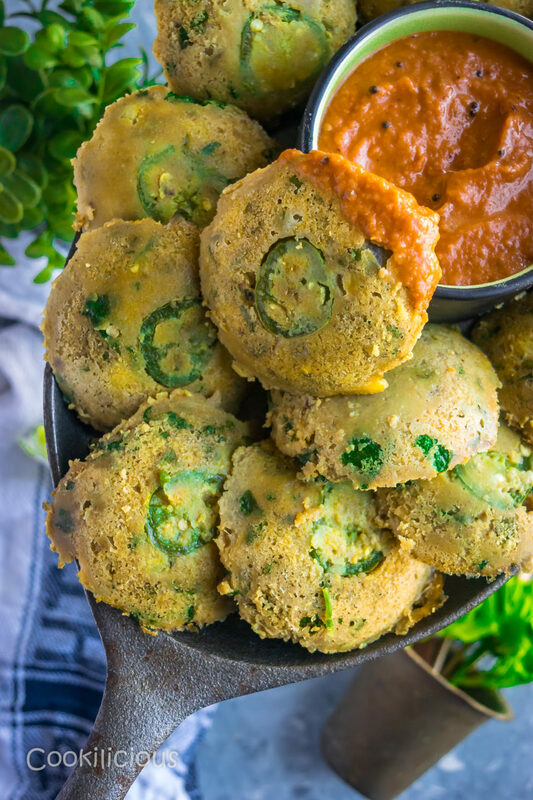 Its a great tea time vegetarian snack which also works as a pre/post workout snack. If you do try this recipe, please do share it with your friends on Facebook, Twitter and Pinterest. This will keep me motivated to develop more interesting recipes. Click a pic and post it with the hashtag #cookiliciousveg . I would love to see your pictures on Instagram, Facebook and Twitter! Soak chana dal/split chickpeas for 3-4 hours. Drain the water and grind it to a smooth paste. Add little water while grinding if required. Transfer this paste to a mixing bowl. Then add chopped onions, ginger, garlic, green chillies, baking soda, turmeric powder, chilly powder, chopped cilantro, ajwain/carom seeds and salt. I also like adding some greens to my recipes. So I added some chopped sweet pea leaves in this as well. Then add oil and water, mix and prepare a thick batter. Grease your steamer plate with some cooking spray if you want. I used an Idli cooker for this recipe. Pour a spoonful of the batter into each mold and steam these cakes for 20-30 minutes on medium flame. Once done, open the steamer and de-mold the bafauri carefully. 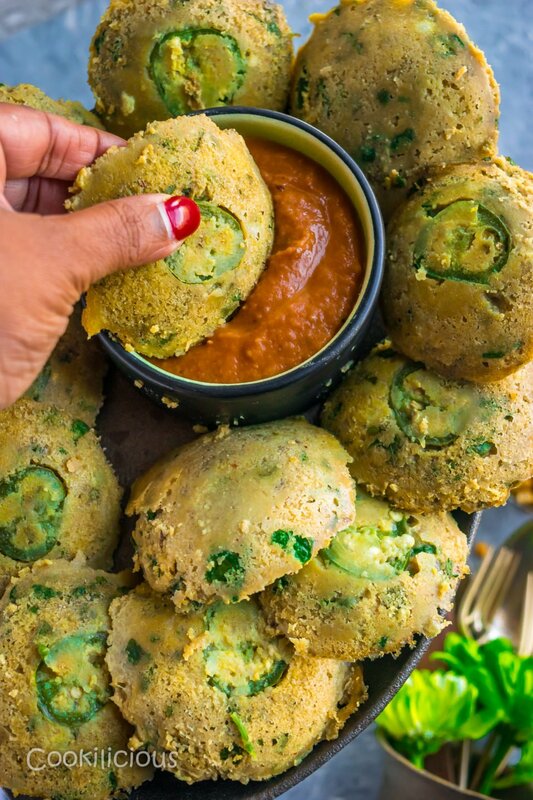 Serve it with some spicy green chutney or ketchup along with your evening tea/coffee. Then give these recipes a try. 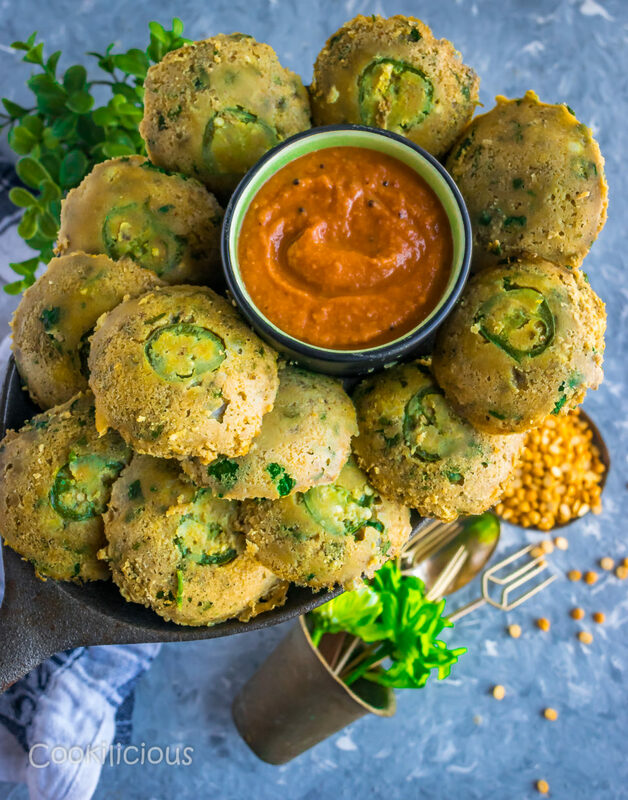 Lentil Shorba, Spicy & Steamed Vegan Lentil Balls, Kale Adai | Kale & Lentil Savory Pancakes, Lentil & Rice Noodles | Paruppu Sevai, South Indian Medu Wada | Lentil Fritters, South Indian Spinach & Lentils Keerai | Kootu | Curry, Methi Dal | Fenugreek Lentil Stew, Thai Basil & Lentil Burger, Raddish & Lentil Stew, Moong Dal Spinach Chilla | Lentils & Spinach Crepes, Vegan Cabbage Kootu/Cabbage & Lentils Gravy, Vegan Lentil Crepes Using Leftover Dal, Lentils Beet Soup with Baked Naan Chips, Lasooni Dal Palak/Lentils Soup with Spinach Garlic, Masoor Dal/Pink Lentils cooked with Spinach and Poricha Kootu (Vegetable and Lentils gravy). What kind of chutney u used in the pictures above…looks tempting.